Santiago del Estero ( Spanish for Saint-James-Upon-The-Lagoon) is the capital of Santiago del Estero Province in northern Argentina. It has a population of 244,733 inhabitants, (2001 census ) making it the twelfth largest city in the country, with a surface area of 2,116 km². It lies on the Dulce River and on National Route 9, at a distance of 1,042 km north-northwest from Buenos Aires. Santiago del Estero is the oldest city founded by Spanish settlers in Argentina that still exists as such, estimated to be 455 years old, according to historical sources of Argentina. As such, it is nicknamed "Madre de Ciudades" (Mother of Cities), as it is the first city founded in the actual territory of Argentina. It was officially declared "Mother of cities and Cradle of Folklore". The city houses the National University of Santiago del Estero, founded in 1973, and Universidad Católica, founded in 1960. Other points of interest include the citys Cathedral, the Santo Domingo Convent, and the Provincial Archeology Museum. Santiago del Estero and its region are home to about 100,000 speakers of the local variety of Quechua, making this the southernmost outpost of the language of the Incas. This is one of the few indigenous languages surviving in modern Argentina. After a series of exploratory expeditions from Chile starting in 1543, Santiago del Estero del Nuevo Maestrazgo was founded on July 25, 1553 by Francisco de Aguirre (although some historians consider its true foundation to be in 1550). Although it is the oldest city in Argentina, it preserves little of its former Spanish colonial architecture, except for several churches. The city was the capital of the Intendency of San Miguel de Tucumán during the Viceroyalty of the Río de la Plata, and first seat of its bishop; those were later moved to Salta and Córdoba respectively. Santiago del Estero stands in the middle of an extensive but largely semi-arid agricultural region. 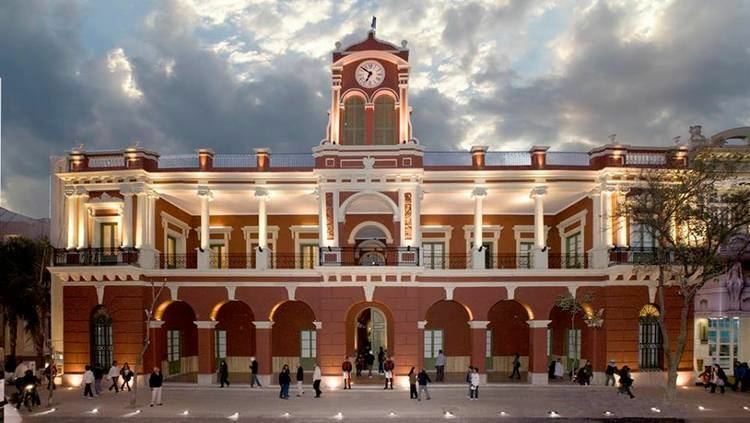 Originally a dry forest area, the abundance of quebracho attracted timber industries of British capital during the 19th century, leading to extensive deforestation; the British-owned Central Argentine Railway reached the city in 1884. The province, in 1948, elected a young Peronist activist, Carlos Juárez, as its Governor. Santiago del Esteros central political figure during the second half of the 20th Century, he soon became indispensable to local politics (even out of power). A true Caudillo (strongman), his amiable demeanor belied a record of ruthlessness towards opposition figures. The construction of the nearby Quiroga Dam (on the Río Dulce) in 1950, eased the citys chronic water shortage and spurred the growth of local agriculture, based on cotton and olives. The citys first school of higher education, the Instituto Superior del Profesorado (a normal school), was established in 1953. The city developed a sizable manufacturing sector based on textile mills and other light industry from the 1950s on, though the public sector remained the largest employer. Santiago del Esteros population reached 100,000 in 1970. The province, however, remained one of the poorest in Argentina, falling further behind. In 1993, the city made international headlines when rioting erupted around the governors mansion. What began as a protest by government workers who had not been paid in 3 months, soon grew to 4,000 demonstrators who burned cars, destroyed government buildings and even invaded the homes of prominent politicians. Juárez, by the 1990s, was readily ordering his opponents deaths, notably that of former Governor César Iturre in 1996 and of Bishop Gerardo Sueldo in 1998. The 2002 deaths of two local women, however, were traced to Juárezs assassin, Antonio Musa Azar, and in an attempt to retain power, Juárez resigned (appointing his wife, Nina Juárez, governor). The bid failed, however, as President Néstor Kirchner signed an executive order removing Mrs. Juárez from her post, in March, 2004. The Juárez couple, in their nineties, subsequently lived under house arrest in the city of Santiago del Estero; the former strongman died in 2010. Some important figures related to the history of Santiago del Estero are Colonel Juan Francisco Borges, who led the local battalion of the Army of the North during the Argentine War of Independence (and an ancestor of writer Jorge Luis Borges), the 19th-century painter Felipe Taboada, as well as Francisco René and Mario Roberto Santucho, founders of the Partido Revolucionario de los Trabajadores (Workers Revolutionary Party, PRT) and the Ejército Revolucionario del Pueblo (Peoples Revolutionary Army, ERP), the two leading guerrilla organizations during the wave of unrest in the 1970s. 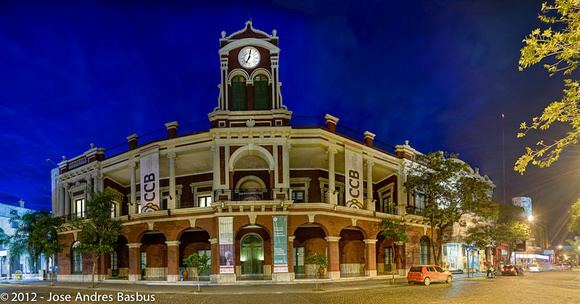 The city is home to numerous important Argentine artists, such as Ramon Gómez Cornet, Carlos Sánchez Gramajo, Alfredo Gogna, Ricardo and Rafael Touriño in visual arts, and Jorge Washington Ábalos, Bernardo Canal Feijóo, Clementina Rosa Quenel, Alberto Tasso, Carlos Virgilio Zurita and Julio Carreras (h) in literature. Santiagos musical heritage is one of the most important cultural aspects of the city, with typical folklore chacarera and zamba. Some renowned artists and groups include the Manseros Santiagueños, the Ábalos Brothers (led by Adolfo and Alfredo Ábalos), Jacinto Piedra and Raly Barrionuevo.